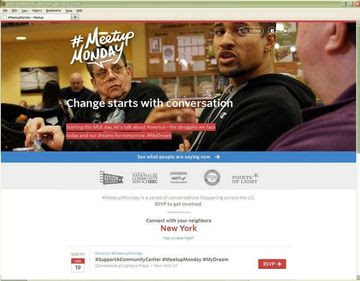 CNY joins Meetup in lauching #MeetupMonday: CONVERSATIONS TO BUILD COMMUNITY TOGETHER | "Let's Talk, New York!" This entry was posted in #MeetupMonday, Event, News. Bookmark the permalink.